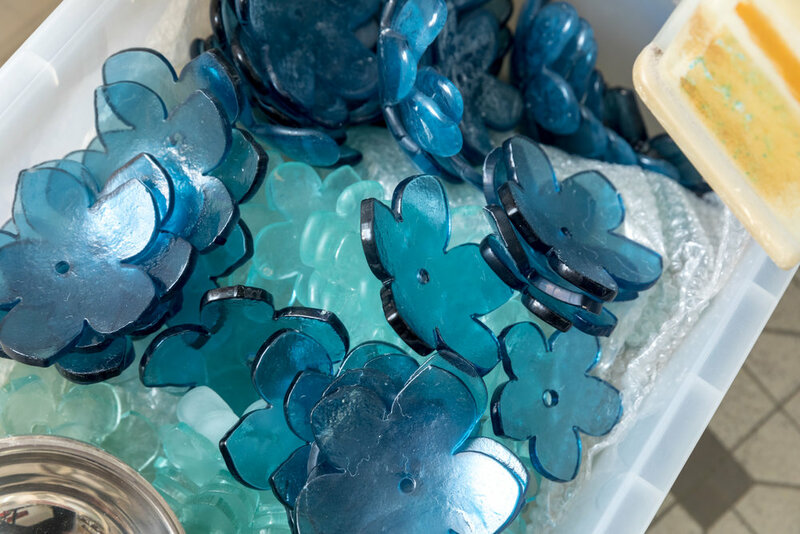 B. Jane Cowie has been working with glass for over 25 years. After gaining a Degree in Visual Arts from Sydney College of the Arts, her commitment to art making, desire to learn and passion for glass inspired her to travel extensively. She has worked in numerous glass making studios and factories in Australia, England, Europe, USA, Japan, Singapore, India and China to develop her making skills and gain an intimate understanding of glassmaking techniques and applications. Jane played an important role in the development of contemporary craft in South Australia as a Board Member of the JamFactory Craft and Design Centre from 1995 till 2001 and as Board Member of Craftsouth, Centre for Contemporary Craft and Design from 1993 till 2001. She was also on the Board of Ausglass: the Australia Association of Glass Artists (1993 till 2002) and President for 2 years 1999-2001, coordinating the first Ausglass Conference to be held in Perth , Western Australia in 2001. Jane has curated numerous exhibitions and taught glass making in a variety of institutions and private studios around the world since 1990. 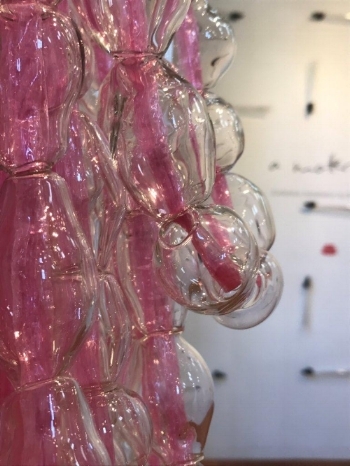 In 1997 her pursuit for knowledge lead her to undertake further research about the development of studio glassmaking in South Australia, the topic of her thesis being “A glassmakers Perspective: History and Practice of Studio Glassmaking in South Australia 1970 till 2000″. The thesis involved the re-making of iconic artworks produced in South Australia to gain an experiential understanding of the objects being investigated. A ‘makers’ understanding of the objects which differing from an ‘observers’ understanding of the objects meant Cowie offered new insights regarding the history and practice of studio glassmaking in South Australia. A ‘makers’ understanding of an object differs from an ‘observers’ understanding of the object due to the experiential relationship a maker has with process and practice. Thus tacit knowledge was a key element used in her thesis methodology. Cowie has continued to exhibit widely in private and public galleries since the 1980’s in Australia, Europe, USA, Japan, Taiwan and Singapore and is included in many public and private collections in Australia and Europe. Cowie had traveled extensively in England, Europe and the USA, however she wanted to learn more about ‘the neighbors’ closer to home and Australia. In 2003 she moved to Singapore to take up a position as glass Lecturer at the Lasalle College of the Arts. Her interest in art making continued and soon after she was offered a secured a position as Glass Artist within a Singaporean Architectural Glass and Design Company. She worked with this company for 4 years and during this time her interest in large scale architectural artglass installations emerged. Working with larger teams of glassmakers, clients, designers and architects, Cowie has been contributing to the built environment by designing, making and installing artworks and large art glass installations that are purpose built for private and commercial spaces. Cowie manages to continue to develop her practice as an individual artist while participating in large projects as the consultant artist, designer, problem solver and production supervisor. In 2006 Cowie founded her own company Art Glass Solutions Pte Ltd. As Creative Director her work continues to develop in scale and diversity working with an increasing amount of different materials such as metal, fabric, ceramics, artglass (a composite resin based material) – selecting the best material suitable for each project. The development of size and scale continues to increase as does her portfolio of completed projects. Unique artworks, lighting features and architectural installations have been created for private homes, commercial offices, prestigious hotel lobbies and public spaces in Singapore, the Philippines, Macau, Malaysia and China. It is clear that her passion for glass and art making continues unabated.